Looking for a customized potting mix specifically designed for your soil and your needs? Rogue Compost can help. 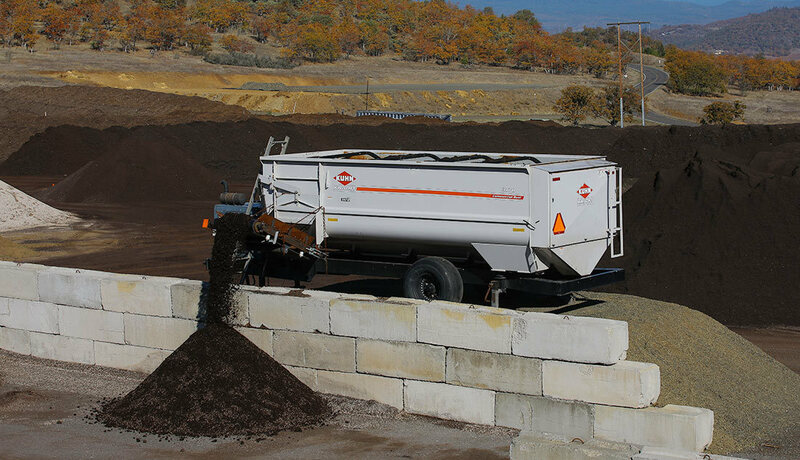 We start with our own top-quality Rogue Compost, created from plant matter right here in the Rogue Valley. After starting with our Rogue Compost base, we then follow your customized recipe. Using our custom mixer machinery, we can add in whatever you like. You can either tell us what to buy for you or bring it in yourself. Anything from gypsum, bone meal, peat and coconut coir to Bio-Char, pumice and phosphate. Your recipe, your blend — just the way you want it. The result? A customized potting mix designed to help improve your crop yields by achieving healthier soil. For pricing information on custom compost blends, call 541.301.1873. Whether you need a few yards for a home garden or are a commercial site looking for large quantities, Rogue Compost can deliver — right to your location. Get a custom soil mix specifically designed for your site and growing needs. Rogue Fine Compost is most often used as a high quality compost base for Rogue custom blends. Listed by the Organic Materials Review Institute (OMRI) for use in organic production. Before we create your custom-blend potting soil, we recommend having your soil tested. Soil testing can determine nutrient content, composition, acidity or pH level and more. Soil testing can also take the guesswork out of how to fix any issues you’re having with your soil, providing the information necessary for maintaining optimal growing conditions each year. At Rogue Compost, we typically refer customers to the Soil Doctor for input on specific blends. Another option for customization is to add the fertilizer of your choice directly into the potting mix — eliminating the need to spread the mix and the fertilizer separately. Get a custom blending quote. Give us a call at 541.301.1873 and we will discuss your specific needs and provide you with a cost estimate for your custom blend.